Finally found a good all-around ecigar. Good price too. Although not a cigar aficionado at all (I've smoked a handful over the years), I found this product does a good impression of the real thing and lasts (if you're only an occasional social vaper as I am) for ages. It's well constructed with a nice weight and the mouthpiece is sturdy enough to permit holding between the teeth if necessary without worry of damaging the device. Flavour is pleasant (if not entirely that of tobacco) and I personally prefer it to other brands I’ve tried, while the amount of vapour produced per drag is respectable. Overall, a great purchase. First experience of e cigar. Gave up smoking years ago cos of health risks. Pleased to be able to experience the pleasure and the buzz without the downsides. These are a huge step up from the 1500 and come highly recommended from me. I have trouble relating the taste to tobacco, but it's certainly not unpleasant and a perfect replacement to cigars at times when it is not acceptable to smoke them. The mouthpiece is a huge step up from the 1500 and they have a good weight to them. 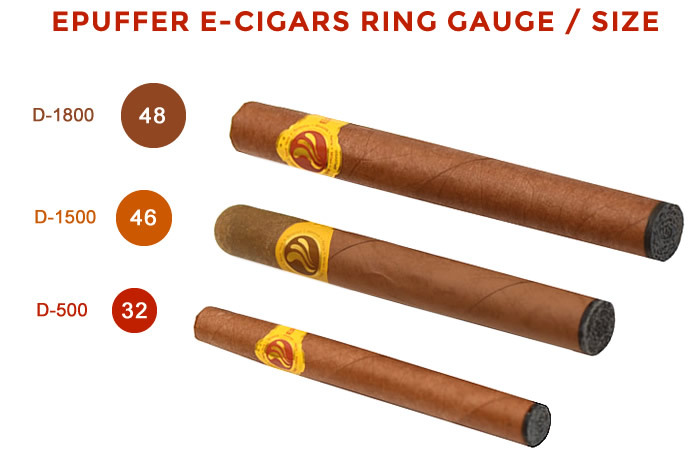 Epuffer, you're getting very close to offering the perfect e-cigar.